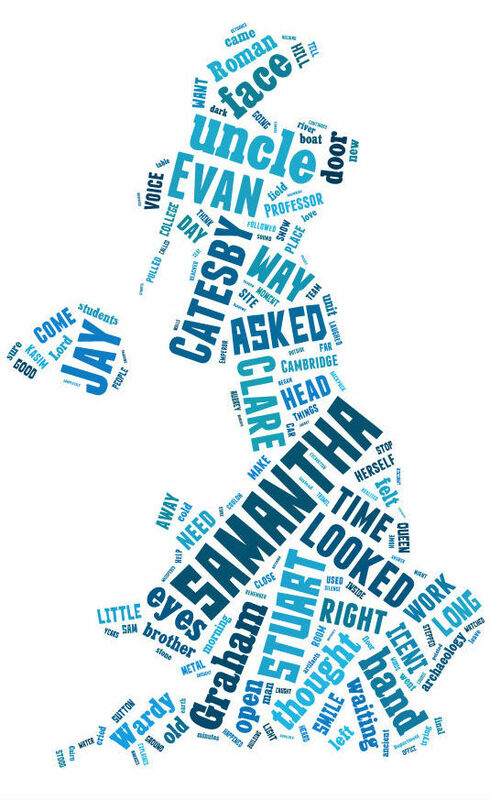 The Tagxedo image on the right – with exactly two modifications to eliminate spoilers – shows the most frequently used words in “Samantha Sutton and the Winter of the Warrior Queen,” which will be out in a only a few months. A quick comparison to the “Labyrinth” graphic does show some changes to my writing patterns. I seem to have beaten back the “stares,” righted the “turns,” and muted almost every “sigh.” (“Face” is still staring out at me, though, and “looked” seems to be on the up-turn. *Sigh*). 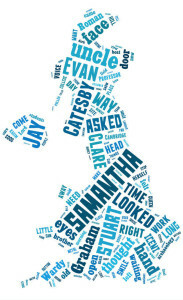 But WordClouds don’t just make for powerful editing tools: they serve as excellent book teasers, as well! Any guesses what Sam will be up to this time around?